Measuring the ankle-brachial index (ABI) is a non-invasive way to diagnose peripheral artery disease and detect people at increased risk of cardiovascular disease. 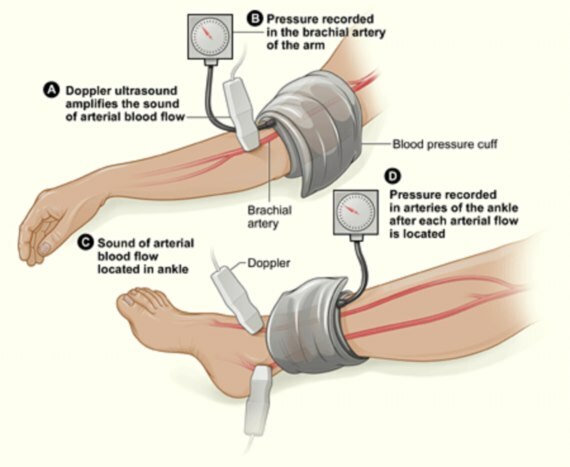 ABI is the ratio of the top number in a blood pressure reading (systolic blood pressure) measured at the ankle and again at the brachial artery in the upper arm. There is no preparation for an ABI.